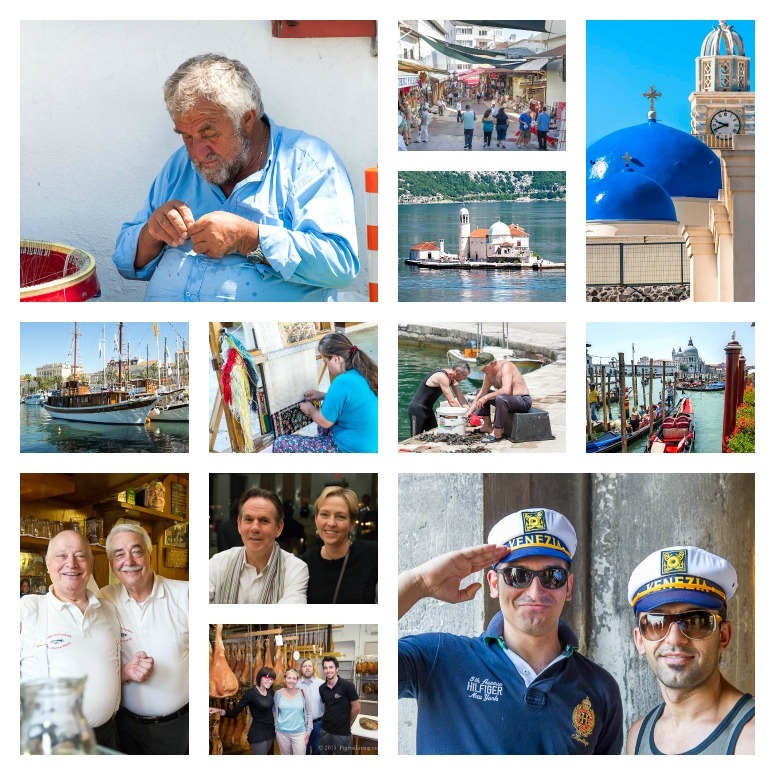 Over the past six years our journey has been about people, places, cultures, and food. It’s been about creating experiences for our readers and partners and about living a culinary and travel lifestyle of affordable luxury. There has been real growth since our early work. Bunkycooks started as a food blog and if you’ve been following our journey, you know that our focus has changed since we began writing in 2009. 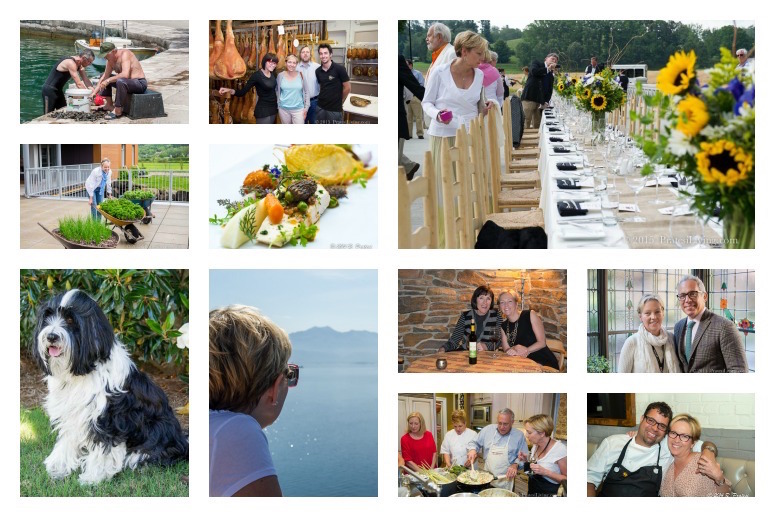 We have evolved into a global culinary travel site and we operate a culinary tour business. We recently released our first cookbook collaboration with one of the top Latin chefs in the United States. With all of this change, it was time for Bunkycooks to grow up and this change has been in discussion for three years. It was in 2012 when we first considered changing the name. A few months later, Bunkycooks was nominated as a Finalist in the James Beard Awards in Journalism for Best Individual Blog. Our name became more widely known and then after that, we became involved with our book project that required so much of our attention there was no time to consider rebranding. It was also hard to think about leaving Bunkycooks behind when so many people know me as Bunky and it was our brand. However, we believe that Pratesi Living is a better representation of our work and focus and it’s time to transition. Our new site will be dedicated to bringing our readers more culinary travel stories, recipes, and leisure articles. We will have guest contributors to the site as well. These individuals will be accomplished experts in their field, offering their unique perspective, and in the process we hope to engage our readers in a new way. Another new feature is the Premium membership. For less than the price of a latte you can have a full year of access to exclusive content, special promotions, deals, and our archives, all without the annoyance of pop-up ads and advertisements embedded throughout articles, like you find on most sites today. We have been committed to hosting an ad network-free site for many years. We feel that while the ads are a source of revenue, which helps offset operating costs, it interferes with the content we’ve worked very hard to create and the enjoyment of our reader. We will continue that policy going forward and only run static ads for our partners on the site. We will also continue to provide free content as well, including most of the recipes and selected travel and leisure articles, so be sure to sign up for updates and newsletters if you haven’t already, and while you’re at it, join our Premium membership at the cost of just $4.95. Please contact us if you would like to give membership as a gift and we will send out a welcome letter to the recipient. Throughout the year we will be offering special giveaways for our Premium members and you will automatically be enrolled if you are registered. 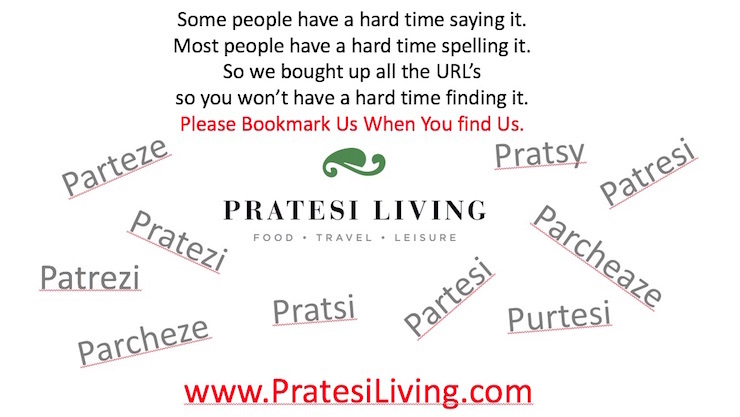 Pratesi Living is not just a site for us to post pictures and articles. We are already looking at the next iteration of capability and we intend to keep this a place for our readers and partners to Learn & Go!™ Join us in our evolution. To our business partners, in addition to the new layout and content for our readers, please inquire about what’s going on behind the scenes. We intend to keep our social media presence the same for now, so if you’re looking for me, I’m still @Bunkycooks on Twitter, Instagram, and Facebook, @Bunkycooks/GwenPratesi on Pinterest, and Gwen Pratesi on Facebook and Google +. Roger is @rapratesi on Twitter and Instagram. Please take a look around and we’d love to hear your feedback. 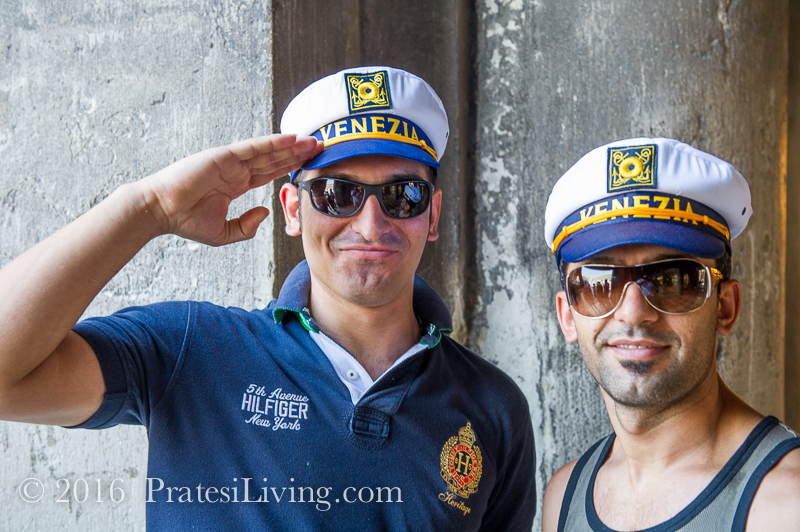 If you’d prefer to send us a personal message, you can reach us at contact@pratesiliving.com. Happy Holidays to you and your family and we wish you all the best in the New Year! I am so excited for you and very happy about the name change which now best represents the creative couple that bring us so many richly told and illustrated stories of travel, people and food! Congratulations Gwen, Roger, and Beamer, too! Wishing you all the best as we usher in the New Year! Hi Ronnie, Thank you so much. As you know, it’s been a long time in the works. I’m so glad we finally made the transfer. Happy New Year to you and your family! So proud of you both, my good friends! And yes, Beamer too! I can’t wait to see this next chapter unfold. Hi Carol, Thank you and yes, we’re excited to see what comes next in 2016! Happy New York to you! Congratulations. Looks good. Best of luck to you and Roger. I will sign up for premium membership. Hi Fran, Thank you and please do sign up for Premium membership. 🙂 Merry Christmas and Happy New Year to you and Joe!